Our New Autumn Term ! Thanks so much to all of you who have shown interest in what goes on here at Rusalka, during the school vacation periods. And so, it's time to say Welcome Back Everyone ! 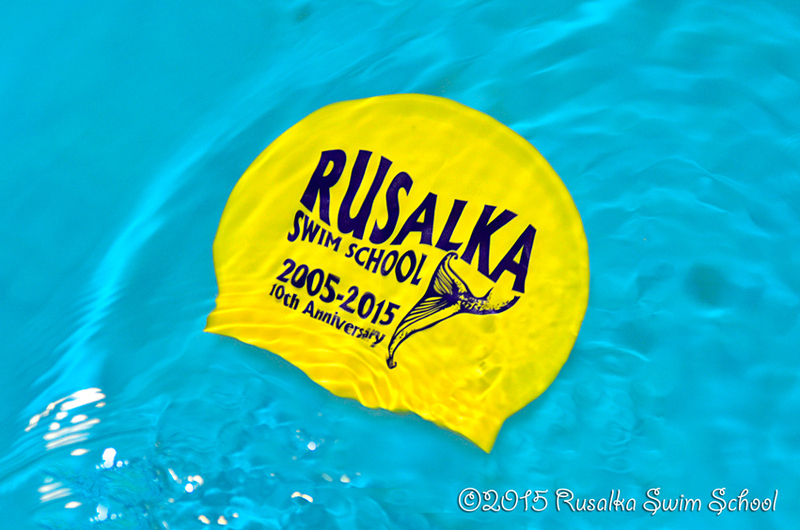 Rusalka Swim Schools' new Autumn Term started this week. It’s hard to believe that our Summer term is coming to the end in two weeks time but, hopefully many of the children will be able to put all of the wonderful skills they learn here, into practise, in the pool or at the beach ! 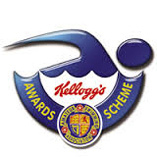 Once again all of our children worked very hard in their swimming lessons, many have achieved their grade passes and will be receiving their corresponding certificates and badges w/c 11th July. All parents have been advised or will be advised of each particular child's progress / achievement and if successful, will be asked to submit a fee of £2.50 for the costs of their ASA Achievement Badges and Certificates, should you wish to have them. This year it will be only taking a place in our Pool 2 for children ASA Stage 1 – 3 and babies and toddlers, as our Pool 1 ( large pool ) may well be totally re-lined during this summer break. We e-mailed this information out to all of our clients a couple of weeks ago, if you have a Hotmail e-mail account and haven’t received anything from us, please check your spam folder or alternatively please let us know an alternative e-mail address, if at all possible, so that we can always keep you up to date on things. Our next term will start 5th September 2016 and will finish on 17th December 2016, with a half term break during w/c 24th October. 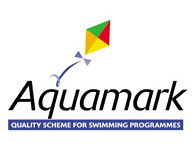 All enrolment forms are now available on our website www.rusalkaswim.com/parents where you can download the relevant forms for yourselves. When doing so please ensure that you select the correct form based on your child’s age and/or ability. The deadline for the return of our Autumn term booking forms is Saturday 23rd July. You can either e-mail the filled forms to us, alternatively you can post them to us or you can place them in the black metal post box situated in each pool’s hall. 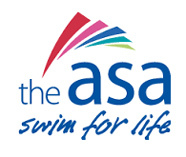 If, for any reason, you do not wish to carry on with swimming lessons next term, please let us know a.s.a.p. either by e-mail or verbally to your teacher, to prevent us holding the space open for your child unnecessarily. If we do not have completed form nor payment, nor any other correspondence from you by the deadline, we may well have to assume that you do not wish to carry on with your child swimming lessons and the space will be offered to those on our current waiting list. These booking forms, for both the new term and our intensive courses, will be also available in each pool from Saturday 10th July for those who cannot print or download these forms from our website, please just ask your teacher . New Timings – From September we will be changing the timings of both pools, in the afternoons, on weekdays only, this will enable us to open extra classes for the children who finish local schools early. In Pool 1, our lessons will start at 15.45 and finish at 19.15 and in Pool 2, the lessons will start at 15.30 and will finish at 19.00. Staff Changes - Due to staff requests, next term we have the following changes taking place in our teaching rota : Tuesday morning in Pool 2, for Adult and Child Classes, Alex will be replaced by Stacey. Tuesday afternoon Stages 3 – 7 in Pool 1, Jane will be replaced by Vicky. 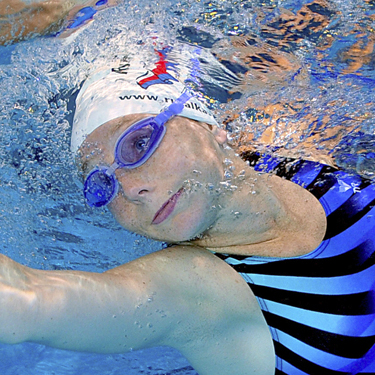 Finally, on Thursday afternoon Stage 1- 3 classes in Pool 2 – Bekki will be replaced by Stacey. Driving on site – This is very sadly something we continue to mention time after time in all of our Newsletters and yet we still see the need to, once again, on this occasion. Last week, we witnessed one of our clients letting their very young daughter out of the car, during an afternoon session, right opposite our green ‘Slow’ signal, plastic man. The little girl was left unattended whilst Mum went to the other side of the car to unload her bags. Natural curiosity took over and this dear little girl went over to look at the ‘signal man’ by herself only seconds before another car turned straight into us from the lane and continued at speed onto our property. Luckily, the little girl just stood by the 'green man' and didn’t cross the road back to her mum at that time, even then the offending car did not slow down ! We can’t even bear to think what would have happened if she had taken her solo walk just ten seconds or so earlier ! Can we please ask every one of you to drive in, drive out and at any time around our property, very slowly at all the times and especially look around you all the time whilst reversing. It really doesn’t matter if you are a couple of minutes to your lesson, that little girl might so easily have been killed - and she could have been yours ! ! Just please think about it at all times and please always think very carefully about your own children when out and about on our property too. If you see anything like described above then please tell us straight away, if we see anyone driving excessively fast on our property we will have no choice but to warn them of careless driving and if it then happens again, I’m afraid we will have no option but to ban them from using our facilities and car parks as we think that the safety of the children at all times is the most important thing here. Parking - We ask people, once again, to please park neatly on our site and avoid coming in two or three cars for one family. We have twenty one parking spaces for any one time and if every client brings just one car for a lesson that would always be enough. That's all for this Newsletter folks, please have a wonderful summer break, we look forward to seeing you back in September ! 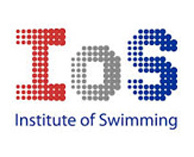 Following the success last year and thereafter receiving many requests we are delighted to confirm that we will be once more offering Five Day Intensive Swimming Courses during two weeks in August, w/c 8th – 12th August and w/c 22nd – 26th August 2016 between 9.30 and 12.30 on each day. Each lesson will be 30 min. and there will be only a maximum of five children in the pool at any one time. The special rate for each one week course is £50.00 per child. This year it will be taking a place only in our Pool 2 for children ASA Stage 1 – 3 and babies and toddlers, as our Pool 1 ( large pool ) may well be totally re-lined during this summer break. 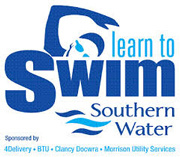 The aim of these lessons is to help boost each child's swimming ability before the long summer holidays or vacations away with the family where there may be pools or beaches. Our next Summer Term will start on Monday 11th April 2016 and will finish on Saturday 23rd July 2016. Half Term Break will be Monday 30th May till Sunday 5th June 2016. 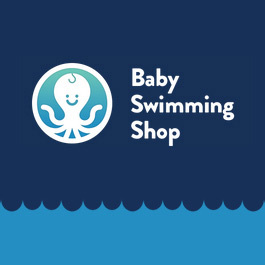 We’re really pleased to announce that Rusalka Swim School has teamed up with ‘The Baby Swimming Shop’ to offer all of our clients discounted prices on a fantastic range of Children and Baby's swimwear, plus all sorts of additional swimming and beach related items and accessories. Just click here you will be taken straight through to this fantastic shop. Our current swimming term will end on Saturday 19th December 2015. Our next Spring Term will start on Monday 4th January 2016 and will finish on Saturday 26th March 2016. Half Term Break will be Monday 15th February till Sunday 21st February 2016. One of the very best things about owning and running Rusalka Swim School is in watching all of the young ones learning and mastering a new Life Skill that will stay with them forever and may well even end up saving theirs or someone else's life, at some time. Watching them develop and progress, not forgetting the pride and joy shown on their parents faces, is so rewarding and always makes 'coming to work', for us, such a pleasure and a privilege. 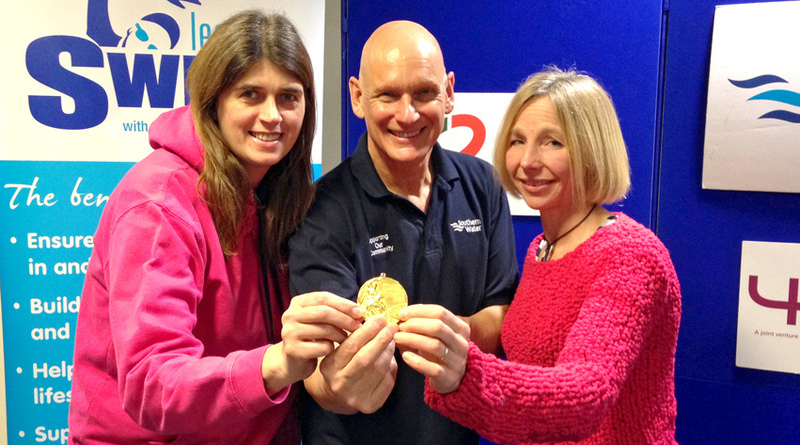 One of the very best things in belonging to the Southern Water 'Learn to Swim' programme is being able to nominate, for the first time, one of our swimmers for the annual Southern Water 'Special Achievers Awards' hosted by former Olympic Gold Medal winning swimmer - Duncan Goodhew. 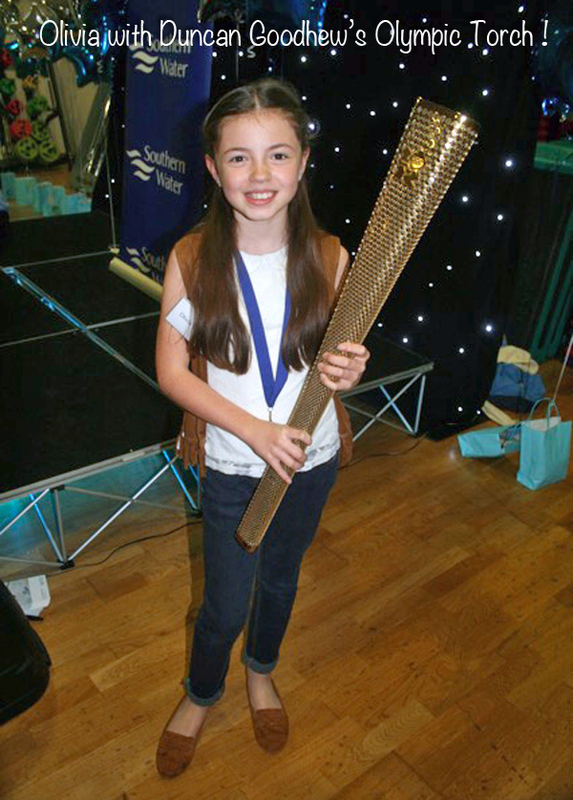 This event took place just recently and although we had many children worthy of putting forward for this award, we finally decided that no-one was more deserving than 10 yr old Olivia Daniels. Olivia has been having swimming lessons with us here at Rusalka Swim School for over 4 years and during this time she has progressed from a complete non-swimmer to ASA Stage 6. During our last academic year she completed both her ASA Stage 5 and Stage 6 certifications and what makes this even more remarkable is that she did this despite suffering a disability from birth known as ‘Right Hemiplegia’. When watching her now, it's so difficult to remember that when Olivia first started to swim on her back she couldn’t move her right arm out of the water at all, but now she uses both arms equally whilst swimming backstroke. She is a wonderful, very focused and hard working young girl. She loves swimming and her progress, determination and work ethic has been applauded by us and by all of our teachers here, whose classes she has attended. Just like your Mum and Dad, we are also so very proud of you ! 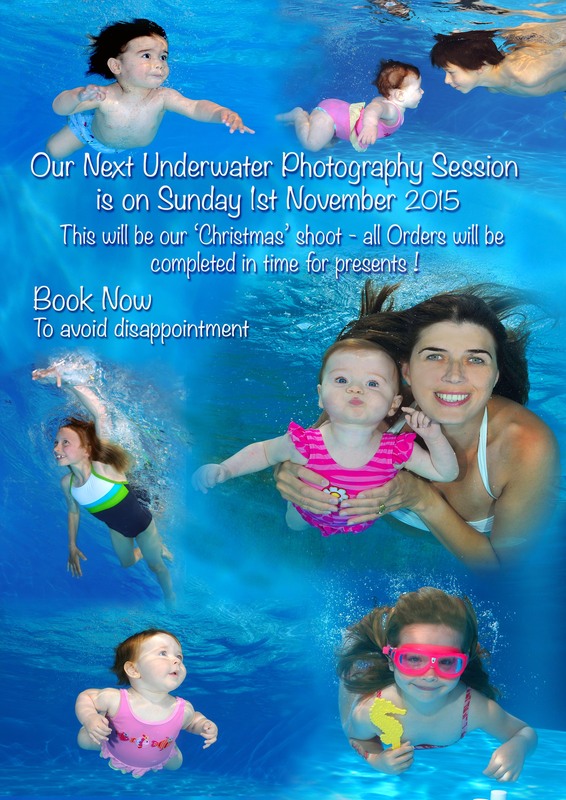 OUR NEXT UNDERWATER PHOTOSHOOT WILL BE ON 1st NOVEMBER 2015 ! Our next term will start on Tuesday 1st September 2015 and finish on Saturday 19th December 2015. Half term break will be Monday 26th October till Sunday 1st November 2015. The date for our next underwater photoshoot, during this term, will be posted soon. 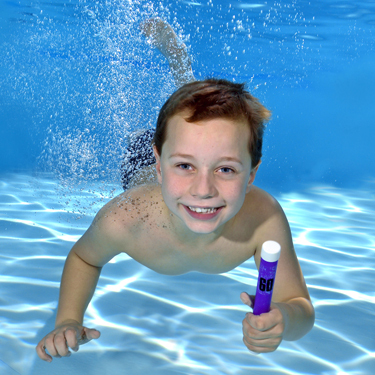 Intensive Swimming Courses in the Summer Holidays ! 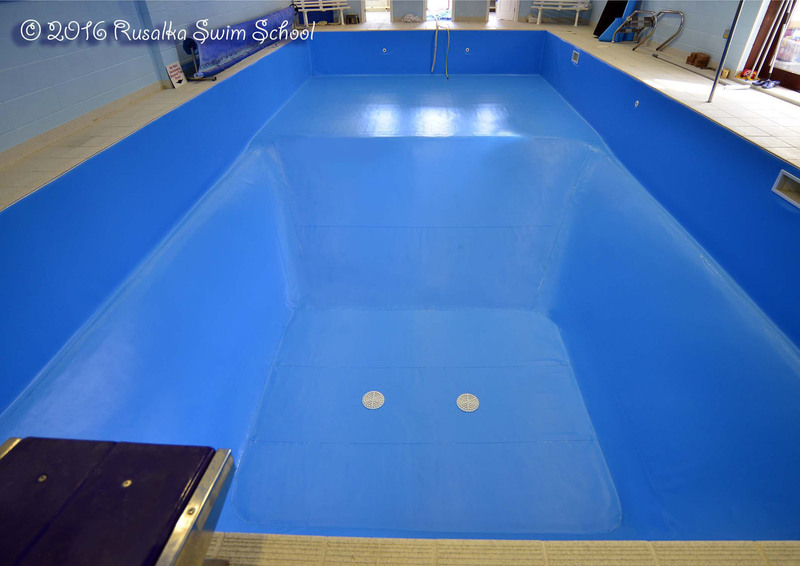 After many requests each year, Rusalka Swim School is pleased to announce that we will be running an Intensive Swimming Course, for children of all ages for five days - Monday 27th July - Friday 31st July. 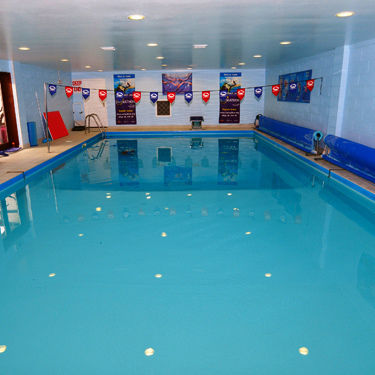 Each lessons will last for a very full and active 30 minutes, with just a maximum of five children in the entire pool at any time. They will take place on each morning from 9.30 am. and also each afternoon from 3.30 pm. The total cost, per week, for the 5 lessons will be £ 50.00 per participating child. Please call us on 02392 594449 or use the 'Contact Us' facility at the bottom of each of our website pages, if you would like your child or children to participate, or if you would like any further details. Rusalka Painting Competition Winners ! "This was a much harder competition to judge than I ever expected, all of the entries were to a very high standard and the children not mentioned below should still feel proud of the work they submitted, it was a sterling job. They all did very well indeed and I am so glad all of them will receive a prize for their super efforts. As the standard generally was so good, I am so pleased that Yulia and Graham have decided to include an extra 'Runner Up' prize of a super pair of Aquasphere swimming goggles to be awarded within each category." Read more: Rusalka Painting Competition Winners ! 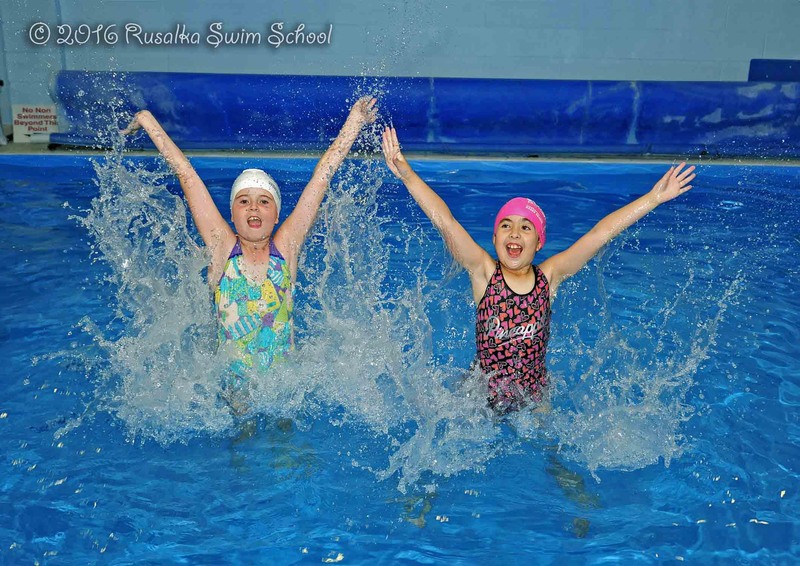 Win a Whole Half Term of Swimming Lessons with Rusalka Swim School! Your child could win a whole half terms' swimming lessons with us, during our Autumn term, commencing early September ! As part of our Ten Year Anniversary Celebrations, we are holding a free competition, for all of our children to enter. All they have to do is paint a picture showing their interpretation of their Swimming Lesson here at Rusalka. Entries will be accepted and prizes awarded in two different aged categories. Children aged 5 yrs and under. Children aged 6 yrs and over. 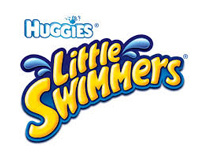 Pictures should be no larger than A4 size and clearly marked, on the back, with the child's name and age, plus the day and time of their current Swim Class with us. 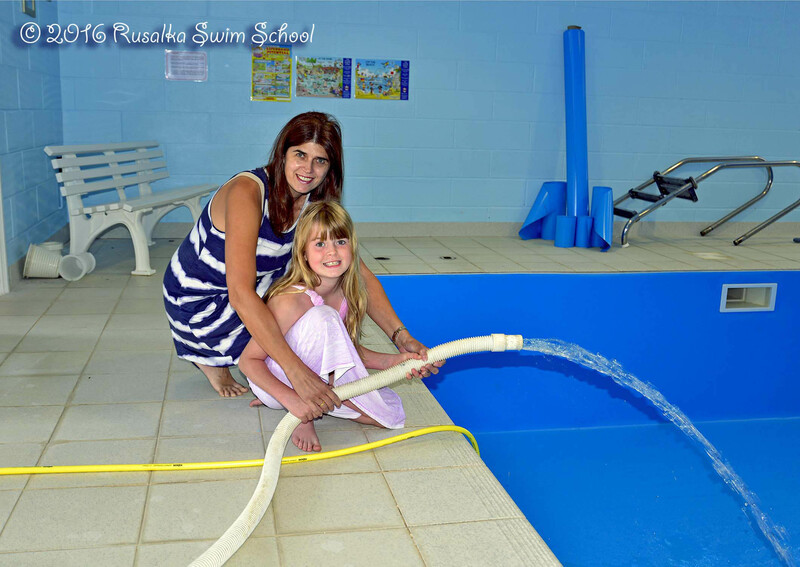 Read more: Win a Whole Half Term of Swimming Lessons with Rusalka Swim School! 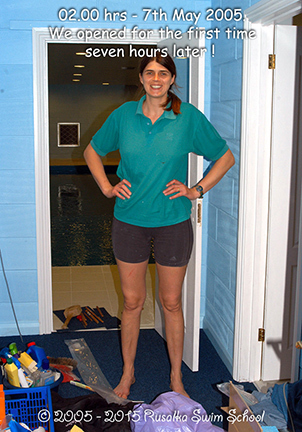 It seems hard to believe but on this day, Ten years ago, namely Saturday 7th May 2005, Rusalka Swim School opened it's doors for the very first time! Since then, we have had the privilege of teaching so many local children, babies (and adults) to learn to swim with us and it really has been such a pleasure. We have won awards, added a second fantastic teaching pool, made many new and long term friends and most important of all, if we have perhaps helped save the life of just one child, then everything we set out to do has already been achieved. Read more: It's our 10th Birthday! Be sure to book your space on our next fully 'In- House' Underwater Photoshoot taking place on Sunday 24th May! Forms will shortly be available in both of our pools. Alternatively, please call us or use the specific selection from the 'Enquire Today' menu that can be found at the bottom of each page of our website. Your child does not have to swim at Rusalka to be able to attend our Underwater Photography sessions, but they do have to be experienced at swimming or being placed underwater. If you're at all concerned or if you would simply like to talk it over, before deciding, then just give us a call and we'll be delighted to speak with you. Well, you obviously know about it 'cos you're here and reading this and so, what do you think ? It was only when we stopped and thought about it that we realised just how long are old one had been doing such a good job for us but was certainly now looking somewhat dated and didn't have all of the modern 'tecky' bits that websites today should have either and so we knew it was time for a change. We think that Matt - The Designer has done a truly wonderful job for us and we hope you do too ? It should certainly be a lot more user friendly for you to use from now on and to view on tablets and mobiles also ! AND both Yulia and Graham have been dragged into the 21st Century too by joining Rusalka to Facebook ! As mentioned above, we finally gave in and listened to those around us and Yes, we are now on Facebook and so please 'Like Us' and 'Follow Us'. To help this along we will be doing silly things like holding little competitions, with prizes, from time to time etc. and trying our best to make social media work not just for us but , for the benefit of all of our Mums, Dads, Nans, Grandads, Aunts, Uncles, Nanny's, Au Pairs and Children too ! 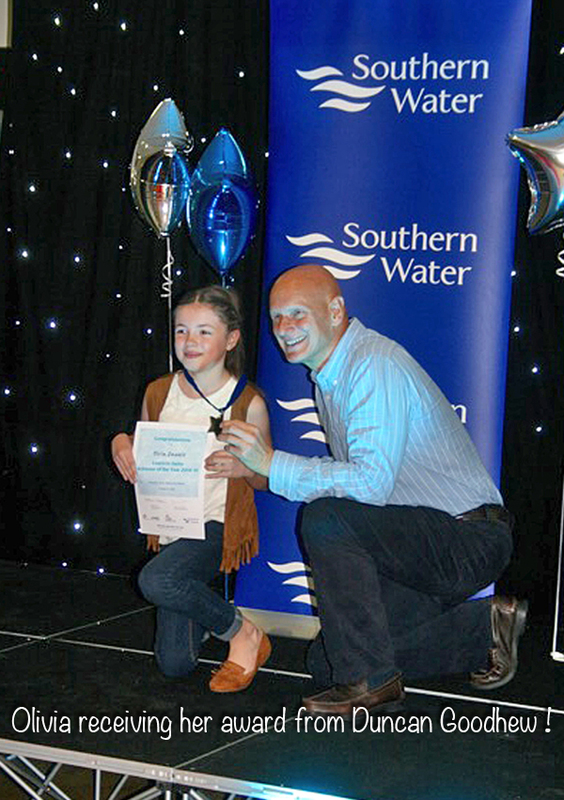 After a meeting, here at Horndean, with Helen Sparkes - Southern Water's Communications Officer and head of their Learn to Swim programme, we were delighted to be invited to join this prestigious and very worthwhile scheme. 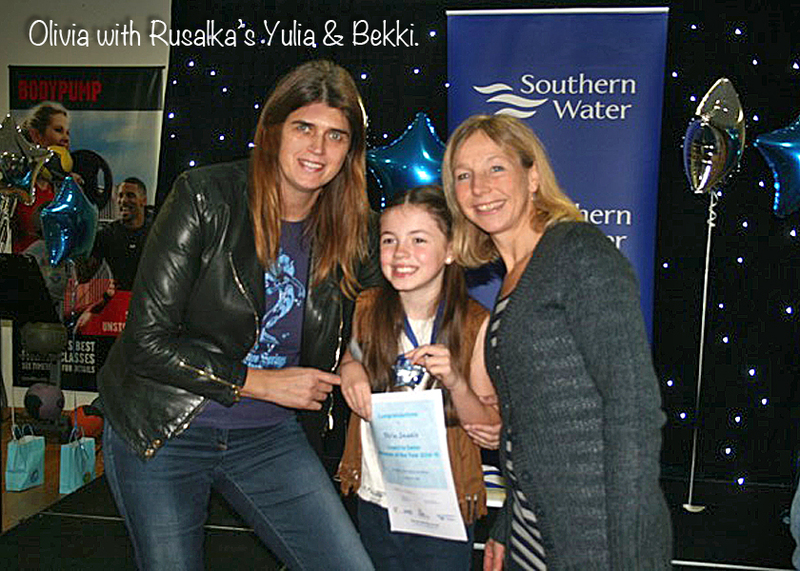 Rusalka's swimming lessons are delivered to your children by such a highly professionally accredited team.